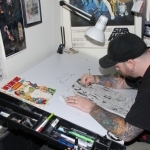 OCT, 2010 – KEN HAESER has been a good friend to us at Comic Fusion for many years. Sometimes it can be a real challenge to promote indie comics in our market-driven industry of Amazing Spider-man and Batman. 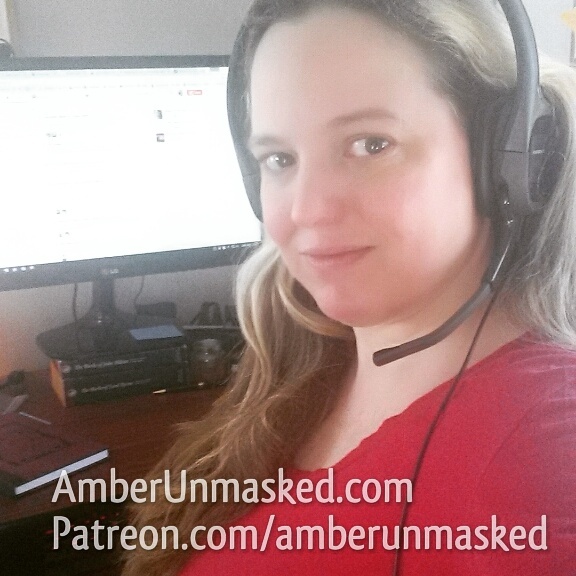 When it comes to indies that sell themselves, THE LIVING CORPSE is a perfect example. It balances playful art with plots that are horror themed. Ken and his creative partner Buz Hasson have culminated humor and horror in such a way that I’m not frightened by the stories. I find their constant lessons on mythological monsters to be a fun way to remind myself about the supernatural beings I love to study. He’ll appear at Comic Fusion on Oct 23, 2010 to sign prints and books, and do a limited amount of sketches while people bid on the over 80 pieces of artwork up for auction, including Ken’s own Trinity piece. Besides TLC, Ken doesn’t sleep. He’s a husband, a father, and freelance artist for one of my employers, DYNAMIC FORCES. DF keeps Ken insanely busy but as a fan, I always want more. He’s best known over there for doing original sketches on the covers of comics. He comes up with gorgeous heavily inked illustrations with vibrant colors when he’s not keeping a pulp black and white tone. Ken’s also managed to do something like 600 sketchcards! Due to his incredible talent and his tenacious self promotion on Facebook and Twitter, Ken’s DF comics sell out quickly. Ken's Trinity piece up for auction. 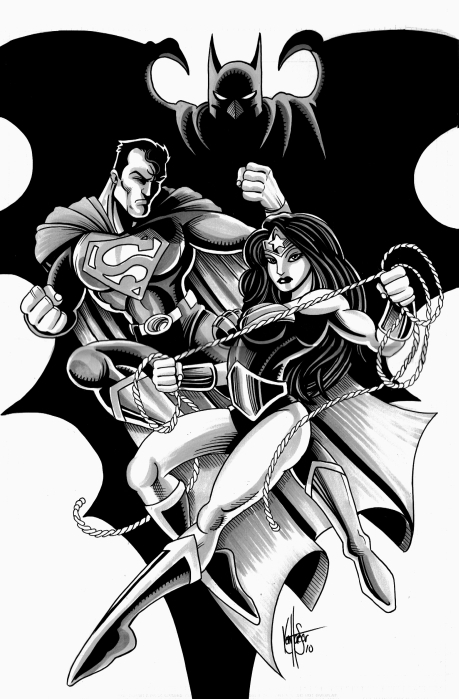 Ken’s contribution to the 2010 superhero art auction for Wonder Woman Day is a black and white composition of DC’s iconic trinity: Batman, Superman and Wonder Woman. The trio are striking powerful poses. 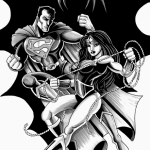 Wonder Woman is ready to seek the truth with her magic lasso; Superman is determined to be the great protector; and Batman pops out of the shadow to bring criminals into the light of day for justice. 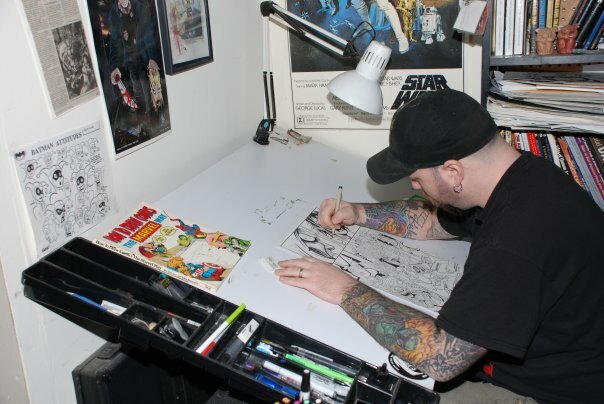 How have you kept up with the technology of creating comics since graduating from Kubert’s back in ’96? Well I still use a mouse to color stuff in Photoshop so I guess not too well! I’ve kept up with the latest versions of Photoshop and Illustrator but most of the comic stuff is still done the good old fashioned way with pencil, pen and paper. And damn— ’96? Where did that time go? How do you and Buzz actually work together with some geographic distance between you? Me and Buz get together at least once a week to bang out a bunch of pages and to plot out what we’re going to do. We only live like 30 or 45 minutes from each other even though he lives in another state. We usually meet up at his tattoo shop and work there during off hours where it’s quiet except for us blaring music and laughing. When we can’t get together to work we email each other artwork, ideas and stuff and keep each other from getting lazy. In your piece for the WWD auction, you included DC’s iconic trinity, Superman, Batman and Wonder Woman. Which one of them most closely represents your personal pick as a role model? Hmmm— the one who represents the way I am most is Batman cause he’s dark and brooding but in much better shape than I. But the ones that everyone should model themselves after is Superman. If you’ve got great powers you need to help people instead of scaring them into doing what you feel is right. Since the auction is for domestic violence victims and you’re a husband and father, have you had to explain these issues to your son? How do you handle that as a parent in this age where TV makes all problems go away in an hour or less? Yup, I’ve got an 8 year old son. Like every kid, he’s had his little scuffles with other kids at school and stuff and we always tell him that you need to find another way to resolve your issues than with violence. Especially hitting girls— that’s a big no no! And to end with happy thoughts, when & where can people see the Living Corpse movie & comic?